My purest emotions have been experienced in a great Spanish forest (the Ports of Horta) where, at sixteen, I had retired to paint. Picasso spent some time in Horta de Sant Joan on two occasions. 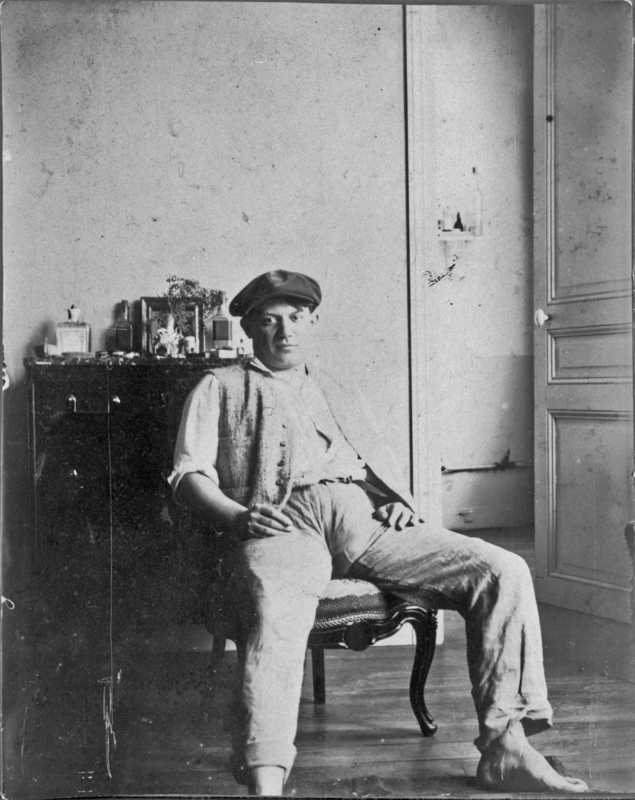 The first one in the summer 1898, when he was recovering from an illness. He had been invited by his friend Manuel Pallarès and his stay lasted till February 1899. The second one, from May to August 1900, he was with Fernande Olivier. On his first stay, the drawings and paintings are done in a traditional language -he is only sixteen when he arrives, seventeen when he leaves- but there remain widely different samples of these works, most of which are the property of The Picasso Museum in Barcelona or to the artist’s heirs. The second stay coincides entirely with the moment of his great cubist adventure; the corresponding works are scattered at locations all over the world: New York, Moscow, Sao Paulo, Paris, Frankfurt. One of the main characteristics of this second period is the attempt of the artist to link the land he loves (Horta) with the woman he loves (Fernande). This fact may help us to understand some aspects of his production, such as the hefty necks of the people pictured. Between the two stays, a few works which also refer to the town of Horta can be identified. Some of them, in 1902 and 1903, are evocations of his first stay, optimistic notes amidst the rather sorrowful universe of the blue period. In the Spring of 1909, when he had already decided to return to Horta in order to celebrate the tenth anniversary of his first stay, Picasso anticipates his journey imaginatively and revives some of his memories in a few compositions which refer particularly to Saint Anthony’s Eve celebration, turning it into a myth. Two maps help to understand the two contrasting as well as complementary aspects of these ties: a topographical map, showing the places where Picasso drew, painted and lived -the places which inspired him-, many of which can still be rediscovered, such as the Mas de Tafetans, the Mas del Quiquet, the Convent of Sant Salvador, etc, and a Worland map pointing to the cities where some of the works created in Horta can be seen. Localism has been transcended by the of genius universality.